Automobile accidents cause physical, financial and emotional losses for victims and their families. The injuries caused by automobile accidents can be severe, permanent and debilitating. The emotional stress of worrying about how you will pay for expensive medical treatments and how you will take care of your family can be overwhelming. Having an attorney to take care of the legal matters involved in recovering damages for your injuries allows you to focus on healing and taking care of your family. By hiring Rosenberg and Associates, we can help relieve the stress and burdens caused by automobile accidents. Our experienced automobile accident attorneys can help you get the medical attention you need if you do not know where to turn for medical care. Seeking medical care is very important so that you can fully recover from your injuries as well as document your physical losses due to the accident. 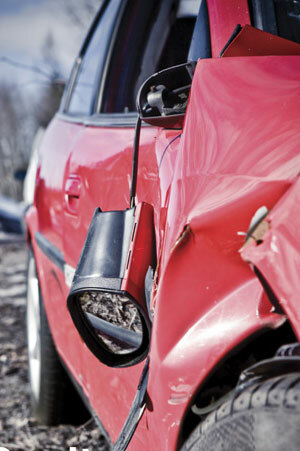 The financial losses from an automobile accident can be staggering. Medical bills, lost wages, funeral expenses and other economic losses can be recovered from the at-fault party. Injury victims have a right under the law to recover damages from the responsible party. Our attorneys have the experience and knowledge required to get you the compensation you deserve for your economic losses in addition to compensation for the pain and suffering caused by your injuries. Even though monetary rewards can never repair the damage caused by an automobile accident, they do provide for the victims and their families by easing the financial burden created by a car accident. Insurance companies are in the business of making a profit. They will attempt to settle your automobile accident claim as quickly as possible for the least amount of money. In fact, insurance adjusters routinely contact automobile accident victims in an attempt to obtain a recorded statement and to settle the claim before the person has a chance to determine the seriousness of the injury and contact an attorney. Insurance companies routinely offer much lower settlements to individuals who are not represented by an attorney. The attorneys of Rosenberg and Associates have extensive experience dealing with insurance companies, their adjusters and their attorneys to obtain an amount that represents the true value of your case. If you have been injured in an automobile accident, contact our office to schedule a free consultation with one of our experienced automobile accident attorneys. Rosenberg and Associates is a well-established law firm that is dedicated to helping individuals who have been hurt or injured due to the fault of another.